Let Portland Powder Finish Your Job! Se habla español, pregunta por Juan. Portland Powder Coating celebrated it’s 25th year in business, January 2018. We are a family-owned powder coating and sandblasting job shop serving both the manufacturing and retail markets of Portland, Oregon. Our services include: powder coating, sandblasting, friendly service, coating removal, light fabrication, assembly, warehousing, welding, delivery, and drop shipment. Powder coating is applied as a dry powder (polyester) and then cured in an oven. The part to be coated is grounded and the powder receives an electrostatic charge as it is sprayed and is attracted to ground. This keeps the coating in place until it is oven cured. No hazardous waste is generated in our process. We use no solvents. We use sustainable, green business practices and are certified by Portland General Electric for using 100% renewable energy. You can be sure your next project will look great and have a minimal effect on the environment as well. 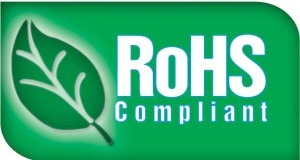 Want to learn more about our RoHS compliant shop and how we operate? Check out the services page!